NEW // EAMES OF MY DREAMS. life is outside your door. twenty six images representing me // 14-26.
one of my aspirations for twenty fourteen was to read ten books, nearly one book a month. 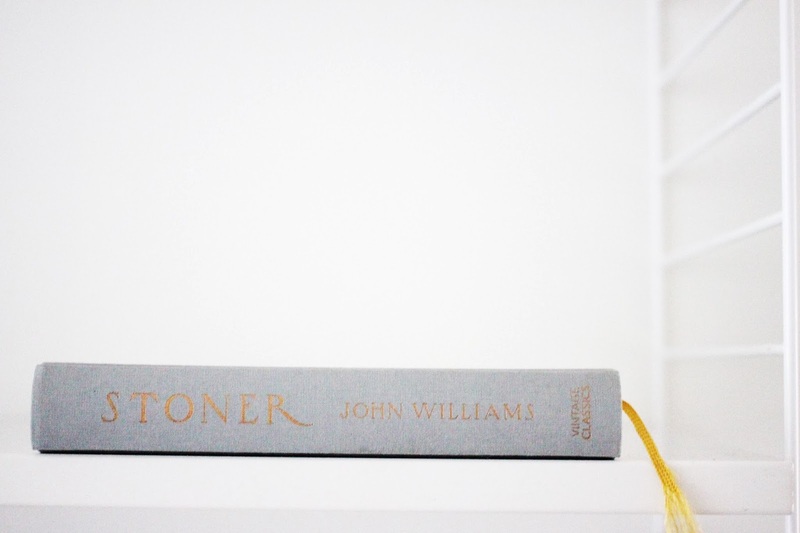 during january, i read stoner by john williams (technically started in twenty thirteen) but considering i had only read a couple of chapters, i think this should qualify as book one. i felt really weird about stoner. it was a novel about a man's life. that was it. no climax, no mystery, nothing that would make you want to keep reading until the early hours. yet, i couldn't put it down. if i were reading an excerpt, i would have thought it was the most boring book ever writen (apart from 'a handful of dust') but by the time he meets his wife, you feel a connection to william stoner, you feel empathy and really just want well for the chap. i've recommended the book to pretty much all of my friends, none of whom really seem captivated by the plot, but i know if they read it, they'd understand why i loved it. i'm a little disappointed with how much i read during january & hope february will be better - i say that, but it's now the second week in and i've barely touched a book.